Buddhism developed in reaction to the established religion in India at the time—Hinduism. Hindus and Buddhists share a vocabulary but differ in their interpretations of dharma, karma, and salvation. An empty throne, footsteps, and a wheel—rather than represent the Buddha directly, sculptors relied on symbols. An inscription on the back of this sculpture identifies this as the earliest dated Buddha from China. Often covered with figural sculpture, these dwelling places of the gods draw worshipers to their inner sanctuaries. Buddhism thrived in India for over a thousand years. Discover important sites in the life of the Buddha. Described as a “museum of religions,” Hinduism encompasses many beliefs and accepts a pantheon of deities. 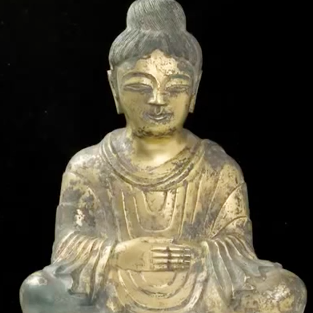 This video decodes the hand gestures, symbols, and styles of Buddhas from Thailand, Pakistan, Japan, and China. Despite a princely upbringing, Siddhartha insisted he was just a man—albeit one who attained perfection. From simple assembly halls to expansive rock caves, buildings for Buddhist monks grew in complexity over time. A mound of dirt or the body of the Buddha? These sacred sites give practitioners insight into the Four Noble Truths. The religion that originated in India took on so many different forms that it is often difficult to see how the various sects of Buddhism are related.